Getting expert help when moving to a new home can be essential. If you are in need of removals services when relocating to Hendon, then Moving Service is the only company you need to call. 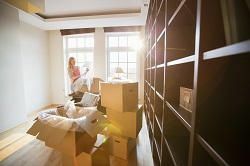 With our focus on offering the best blend of expertise and great prices, we are the ideal choice for those who want their move to be both cost effective and easy. We know the industry better than anyone else, with our team having handled a huge amount of removals for a very long time. Whatever it might be you’re thinking about moving, hiring our professionals allows you to take it easy, content in the knowledge the best team in the business is handling your entire move. If you would like to learn more about exactly what we offer, then dial 020 8746 4402 today. Act now and get chatting to one of our experts. Do You Want To Know More about Hendon? Though originally a part of Middlesex, the area known as Hendon was incorporated into the Greater London area in 1965. It is now in the London borough of Barnet and is situated to the north west of the city. The River Brent runs through the area and has occasionally prompted the Environment Agency to release a warning to residents about the possibility of flooding, an issue that has affected Brentford and Perivale nearby. It is surrounded by places like Mill Hill, Church End, Temple Fortune, Golders Green, Cricklewood, Neasden, Colindale, and Edgware, all similarly residential and suburban areas. In terms of travel, it is possible to walk to the places listed above, as well as using public transport to travel further afield. Hendon Central tube station delivers access to the Edgware branch of the Northern Line on the London Underground network. Besides this, regular buses run through the area throughout the night too. Why Does Professional Assistance Make All The Difference? We’re in the business to make your life easier. We know how tough it can be to focus on all of those tiny details so many people overlook and how hard it can be to find the time in your busy schedule to get all of these tiny chores completed to the desired standard. But when you delegate this responsibility to our team, you can enjoy the best removal services in NW4 region without the annoyance, hassle and difficulty faced by so many people attempting to move. Our experience really is a game changer and is seen throughout all the services we offer. When you need expert help, hiring in our movers allows you to relax rather than worry. When you need a professional moving service to make your life easier, there is no one better. Moving Service is the ideal choice for both house and office removals to Hendon. If your business needs to move to another office, then we can help reduce the drama and allow you and your staff to focus on remaining as productive as possible. It’s a solution that benefits both you and your customers. In addition to this, those who need removal services in NW4 district can now get a great deal too. We offer the lowest possible prices, reducing the cost of hiring help in the area while still keeping the quality as high as possible. Because of this, it’s easy to see why so many people entrust us with helping them move to another home or office. If you would like to learn more about how we can help you, then call 020 8746 4402 right now and get talking to our team for a free quote.